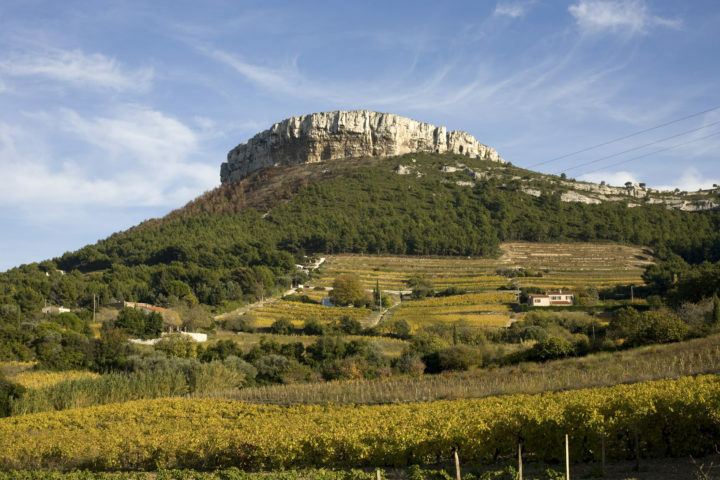 Two large geological features coexist in Provence: one crystalline and the other limestone. 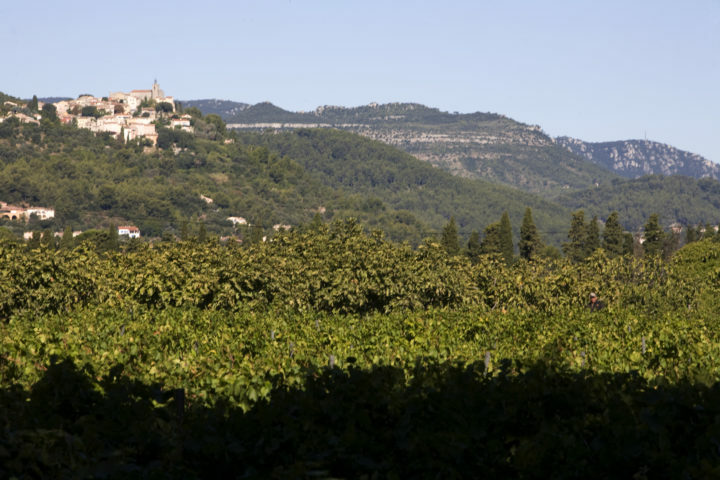 The western and northern parts of the Provençal vineyard consist of alternating hills and limestone ridges carved by erosion. There are remarkable sites such as the Sainte-Victoire mountain, the Sainte-Baume massif or the Gorges du Verdon. Further east, the crystalline rock formations of the Maures and Tanneron face the sea. The landscapes are very different from the previous ones, with hills and small mountains with softer curves, covered with shrubs and forests. Continuing eastwards, between Saint-Tropez and Cannes, this crystalline ensemble is pierced by igneous trails with often astonishing rocks like the colourful porphyries of the Esterel volcanic massif. These two geological units match the two characteristic plant formations of the Mediterranean zone: scrubland on calcareous soil and maquis on crystalline soil. Neither of these two types of vegetation are important to the creation of humus. Sunshine is the primary characteristic of the Mediterranean climate, with particularly high temperatures in the summer which may be modulated by the local topography. The summers here are dry and hot, even scorching on windless days in inland areas. Like any other Mediterranean zone, the precipitation in Provence is rare but, when it occurs, can be quite extreme. 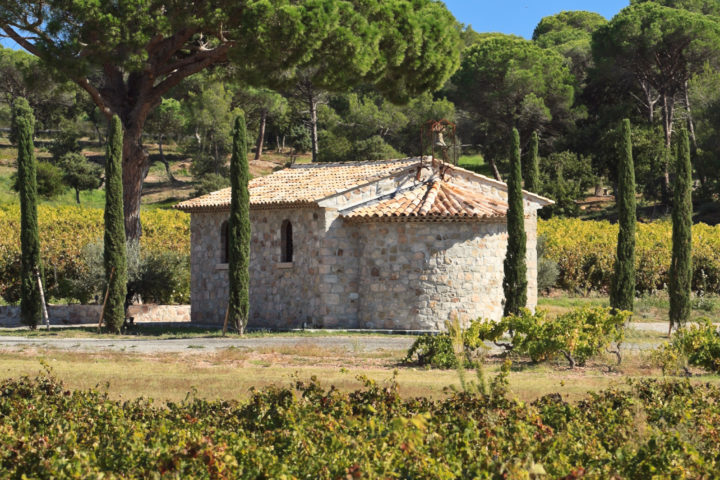 The winds are many in Provence and are an integral part of the region’s climate. The best known are the Mistral winds which are violent and very dry. These features are a boon to the vineyards, reducing the presence of parasites and naturally curbing the development of diseases among the vines, which are healthier and require less pest control treatment. The traditional practice of growing grapevines in “cup” formation (with the shoots divided around a central stalk like the fingers of a hand) has now almost disappeared. Trellising the vines (attached to a structure that allows for mechanical harvesting) by Cordon de Royat or Guyot cane pruning is now the dominant method. 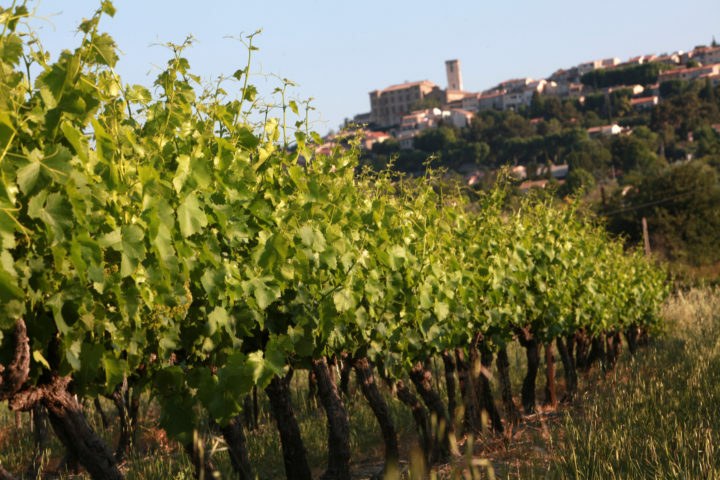 In Provence, the vines also need to be protected from the prevailing winds. This is why wine-makers choose to plant rows of grapevines in the direction of the wind. 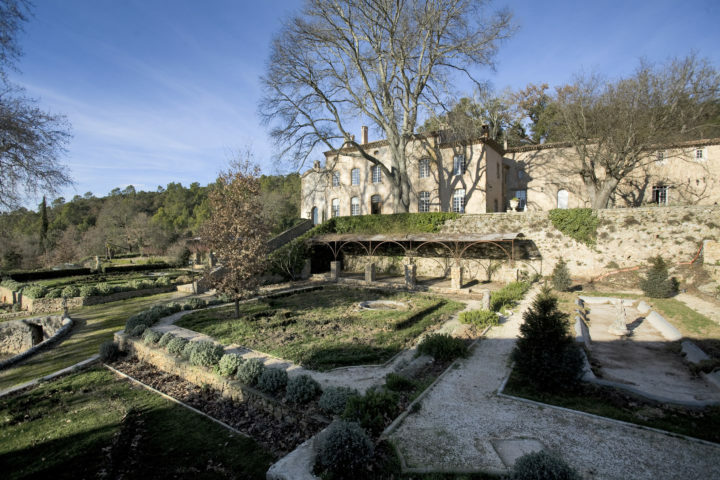 Provençal wine-makers have adapted how they cultivate their grapevines to the terroir and the Mediterranean climate, shaping the landscape into its characteristic form of today. 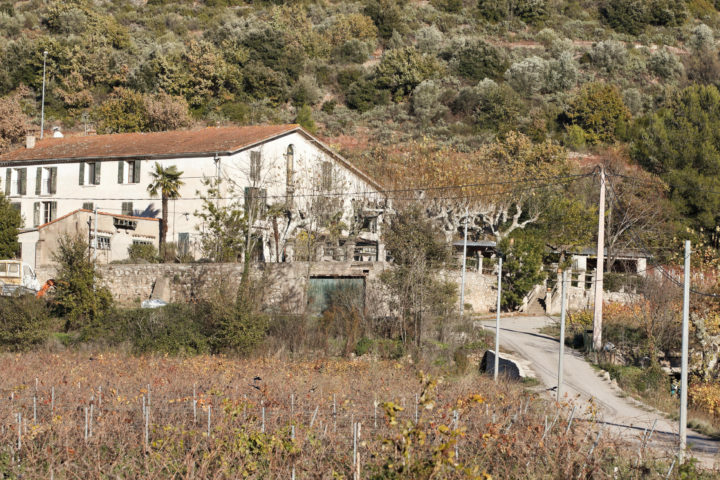 That landscape includes the “restanques”, very steep hillside terraces on which plots of grapevines are planted, just as much as the region’s typical low walls and groves of trees. These elements provide structure to the scenery and protect its biodiversity by providing shelter to accessory species of wildlife for example. They are some of the good practices already in place in the wine region. 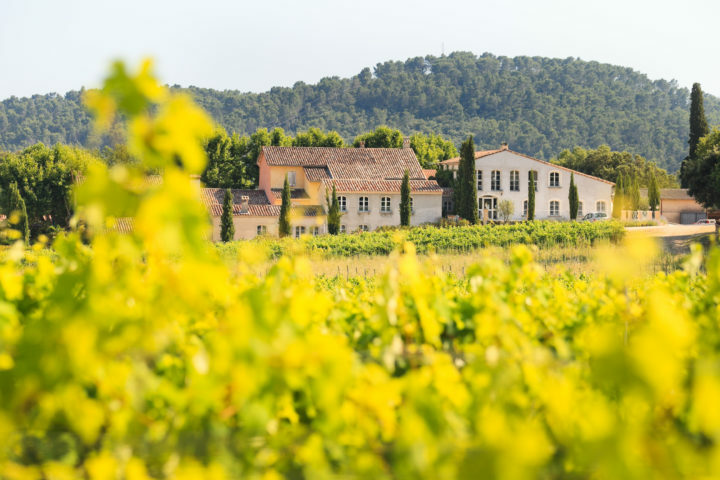 In 2016, Provence had 7,199 hectares (17,789 acres) of certified organic grapevines, accounting for 19 % of its total area, up 65 % in the last six years. The average in France for organic is just 9 %. 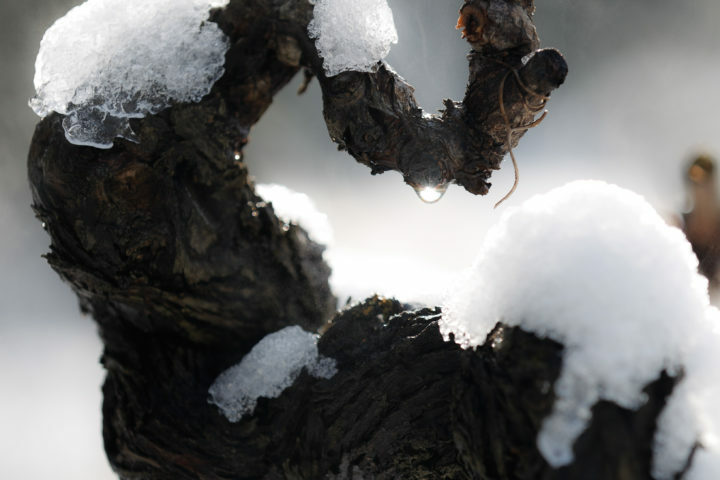 From November to February, vine is “dormant” or “in winter rest”. The sap doesn’t run through the plant anymore. This is the time to prune, remove shoots and select the buds that will give shoots and fruits the following year. It is also the tillage period. 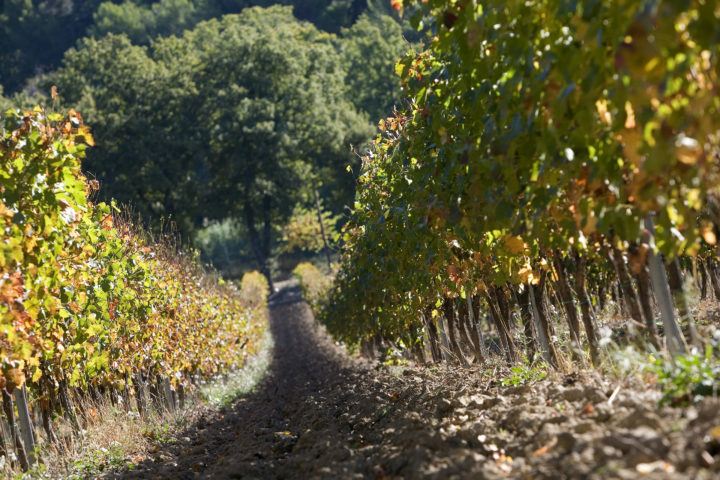 The vine growers practice plowing to loosen and aerate the soil, which allows rainwater to better penetrate. 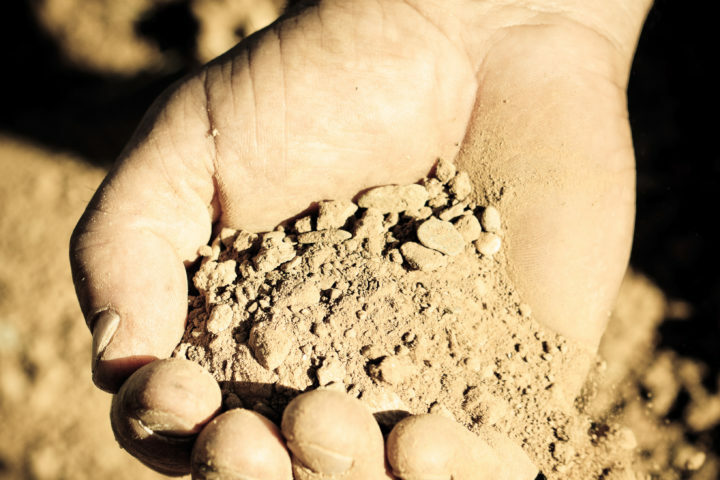 It is also the time to bury fertilizers and organic matter. March / April is the time of bud burst: buds begin to develop, twigs and leaves start to grow. Vine wakes up as sap runs once again through the plant. May / June is the flowering season with the appearance of small flowers. 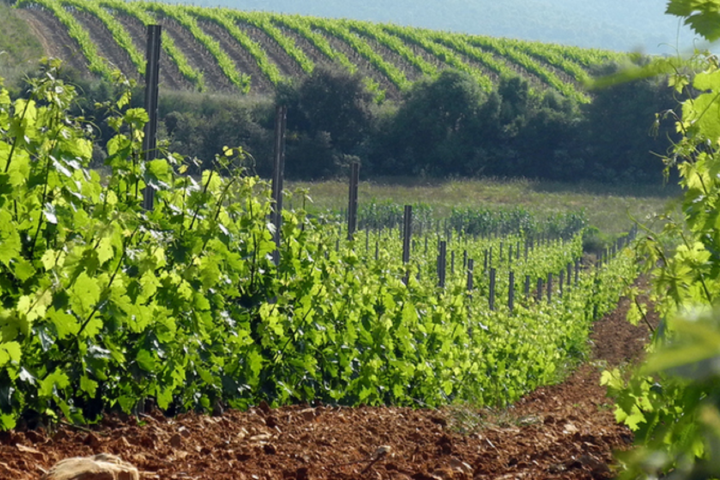 This is the period of “green operations” to control the vineyard’s growth. Vine growers practice trimming and topping to remove the end of growing twigs, as well as suckering and disbudding to get rid of the “useless” vegetation such as gourmands – branches that grow on the trunk. It is also the time for vine planting. In July, the foliage keeps growing and flowers turn into grapes. This is the “nouaison,” or fruit set period. 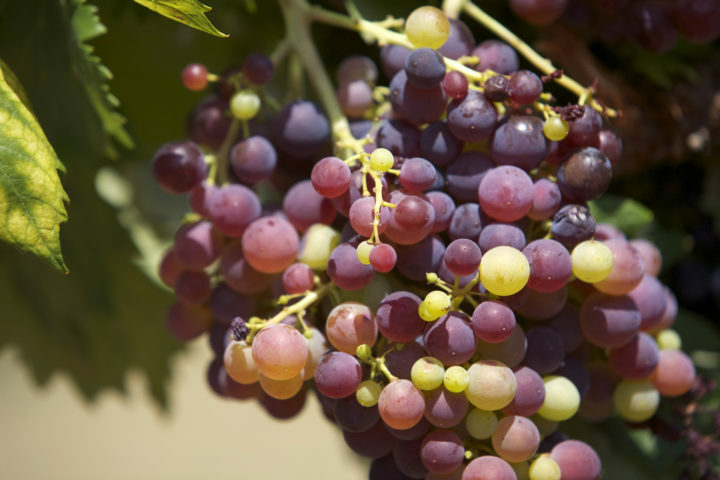 August is the time of the “veraison” when green grapes grow and ripen, becoming either red or yellow, as well as less acidic, sweeter and infused with aromas. 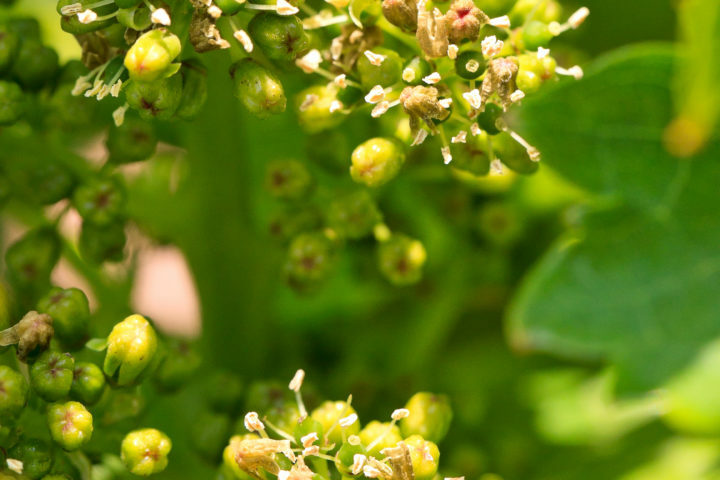 Vine growers may practice vine stripping, which will improve both the bunches’ exposure and aeration (as well as the vines’ overall health). This is also when clusters get thinned. This operation consists of removing bunches (or parts of bunches) growing on vines that have too much grape load. 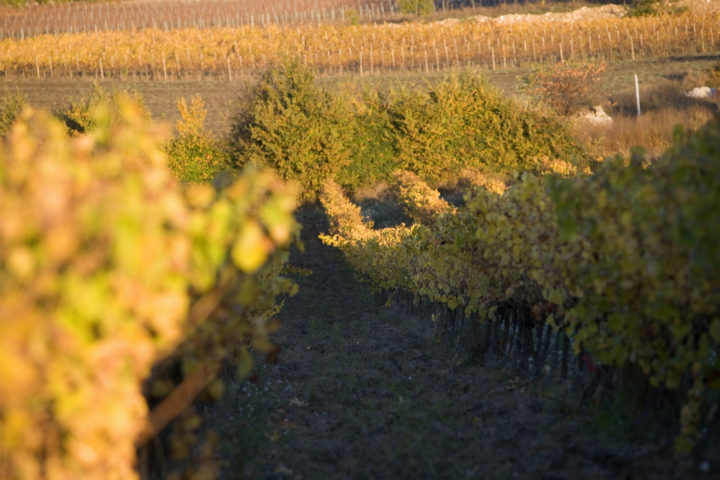 From August to October, harvest is linked to the grapes’ maturity. Warm summer temperatures and cooler nights are key to good grape maturation. Harvest begins the second half of August in the early coastal areas, and extends until October for the latest sectors. 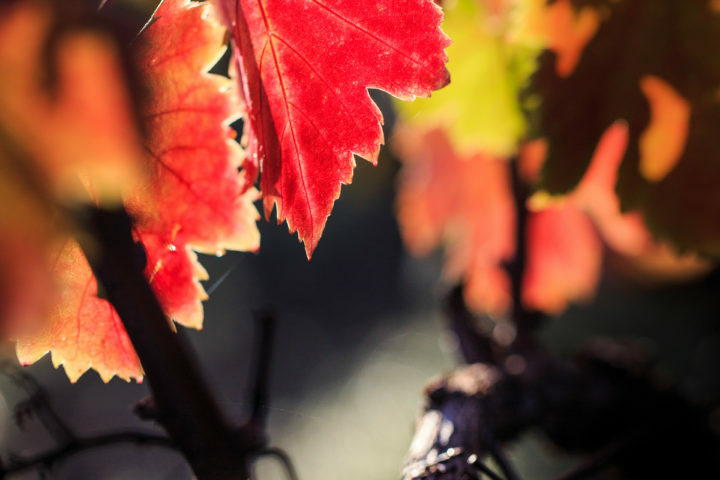 To avoid alteration of aromatic precursors and grape color, harvest starts early in the morning, sometimes even before daybreak with the use of harvesting machines. Grapes are then brought to a lower temperature in the cellar. Harvest will be followed by a long winemaking phase that will give birth to a beautiful vintage, for the greatest pleasure of wine lovers in the region!